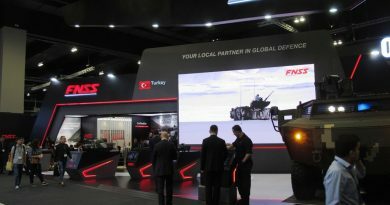 At SOFEX 2018 the Jordan pavilion is dominated by the King Abdullah II Design and Development Bureau (KADDB) and its affiliate companies, which unveil a number of vehicles and weapon systems. Among those we find a new 155 mm artillery system, currently at prototype stage, known as Rum II, developed by JMSS, a KADDB affiliate. The company received the task by the Army to develop a wheeled artillery system based on the 39 calibre long ordnance of the M109 SP tracked howitzer. The aim is to improve transportability, deployability, and to lower running costs. JMSS selected a DAF 6×6 truck chassis and developed in house the rear spade system, the two side outriggers, the traverse and elevation hydraulic system, as well as the armoured cabin that EDR Magazine understood providing a B6 protection. The latter is mostly used to protect the driving components during firing rather than personnel: in fact the crew of the Rum II is of six soldiers, driver and commander in the front cabin, and four more artillerymen sitting on two benches located behind the cabin on the sided of the truck, this personnel being in the open. 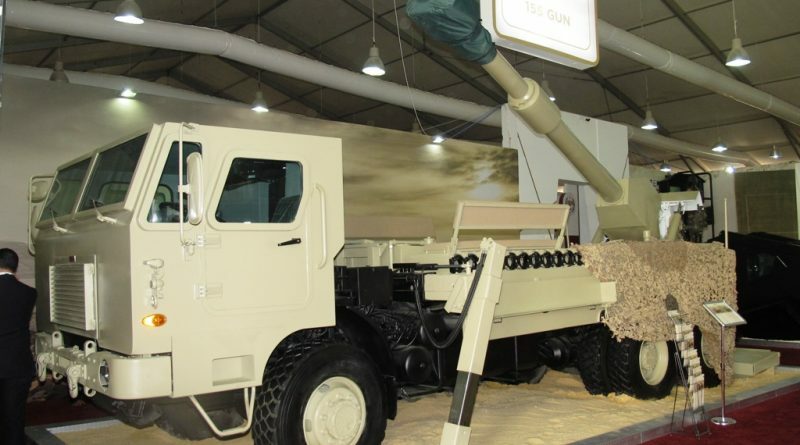 The wheeled SP howitzer is powered by a Cummins 250 hp engine coupled to a 5-speed manual S-111 G.P.A. transmission, providing a maximum road speed of 120 km/h and an endurance of 600 km. 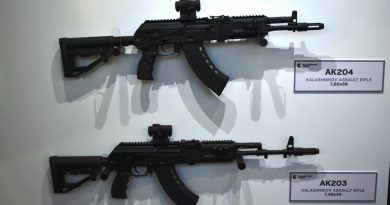 The gun can fire in a ±22.5° azimuth sector, elevation being between 0 and +65°, maximum weapon range being between 18 and 27.7 km, depending on the type of round used. The Rum II carries 22 rounds and correspondent charges and fuses. 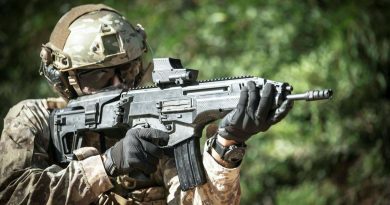 For the time being the aiming system is manual, however JMSS is considering integrating an electronic laying system in the future. Another thing that might evolve is the cabin, which might become longer in order to have a rear module hosting the remaining personnel. 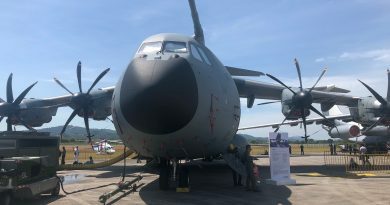 JMSS designers revealed that another prototype is being built, in a different version that will allow air transportability on board a C-130 Hercules aircraft, seven of which are in service in the Royal Jordanian Air Force. The current version GVW is less than 18 tons, but the new version should not only be lighter but its height should be within the Hercules loading shape. 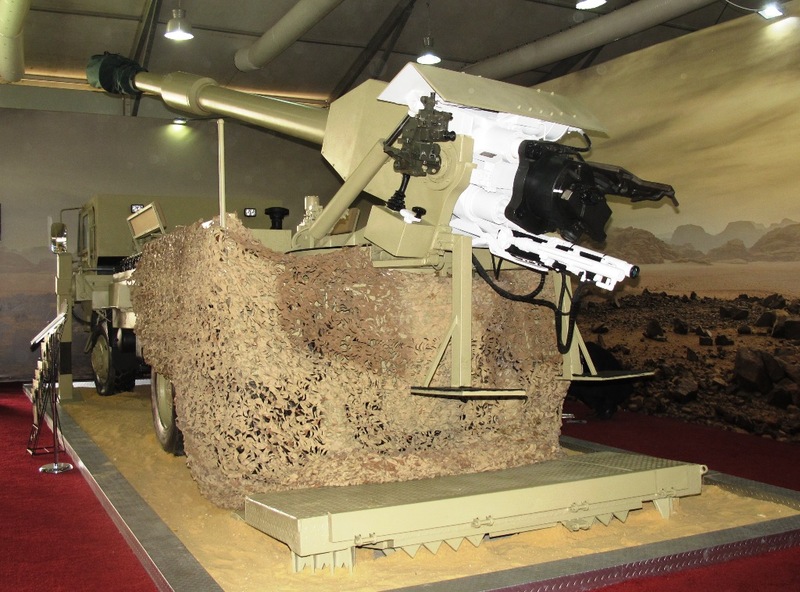 According to JMSS the Jordanian Army might chose to adopt both versions.